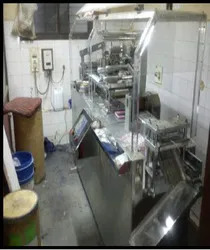 "Allopathic, Nutraceutical, Soft Gels, Ayurvedic"
We are recognized as well-known Pharma Contract Manufacturer since 1995. This is our Family Business and we are having a 20 Years of rich experience in manufacturing wide range of best quality Pharmaceutical Products. 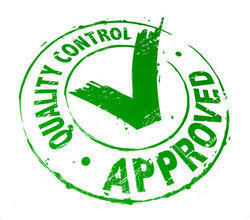 Certifications & Approvals :- Schedule M cGMP, WHO-GMP (Nutra), ISO 9001 : 2015, FSSAI, Central Bureau of Narcotics. Product Range :- Pharmaceutical Tablets, Liquid Syrups, Dry Syrups, Capsules, Beta Lactum Antibiotics, Clav Products, Hormones, Soft Gels, Nutraceuticals, Ayurvedic & External Preparations. 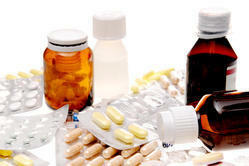 Further Our Product Portfolio & Services Include :- Pharmaceutical Formulations, Pharmaceutical Contract Manufacturing Services, Pharma Franchise, Anti Allergic Drugs, Anti Diabetic Medicines, Anti Diarrhoeal Drugs, Anti Emetic Drugs, Anti Fungal Drugs, Anti Hypertensive Medicines, Anti Inflammatory Drugs, Anti Malarial Drugs, Anti Obesity Drugs, Anti Pyretic Drugs, Anti Tuberculosis Drugs, Anthelmintic Drugs, Antacid Drugs, Anticold Products, Cough Syrup, Contraceptives, Dental Care Products, Enzyme Syrup, Gynec Medicines, Haematinics, Hair Treatment Medicine, Health Supplements, Herbal Products, Hormone Drugs, Narcotic Drugs, Nutraceutical Products, Psychotropic Drugs, Pharmaceutical Products, Pharma India, Pharma Gujarat, Pharma Ahmedabad, Soft Gel Capsules, Skin Treatment drugs, Steroidal Drugs, Soft Gels, Anti HIV Medicines, Calcium Supplements, Gym Supplements, Clav Products. Our quality control department is well equipped with all latest instruments which takes care of all required Quality standards. Each raw material and finished batch is being tested 4 times to assure the standard to be maintained. Our motto is quality first & everything later. Apart from our own strict quality control we take services from Drug approved independent laboratories like Aum Research lab, Oasis lab, etc. 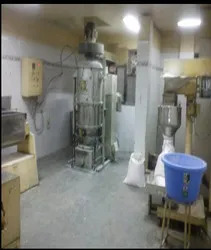 To ensure better quality we procure our raw materials from the best quality providers like Aurobindo pharma, Nectar life sciences, Pan drugs, Arti drugs, etc. Our Vision is to become an advanced technology & research based company & to emerge out as an intellectually strong player in the domestic & international market. 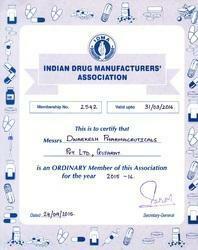 Our Mission is to provide best quality pharmaceutical products within the approach of every section of the society. We have been awarded the Crisil Certificate. 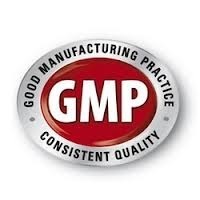 Our Manufacturing Units are certified as per Schedule M GMP norms. 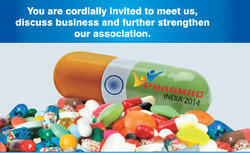 You are cordially invited to meet us, discuss business & further strengthen our association. Venue : Mahatma mandir exhibition & convention centre, hall no. 1 , Sector 13 c, near k h road, Gandhinagar, Gujarat. "We believe that success is not a matter of chance but the result of constant efforts"
We believe that it is essential for us to implement corporate social responsibility. 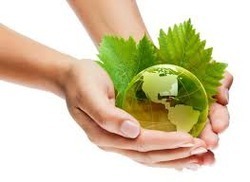 Society needs constant improvement and growth in promoting quality of life, human morality, social stability, equality for all, & environmental protection, hoping that all people get healthy environment to work. Our Company is similar to society; besides earning profit and giving job opportunities, understanding our role in helping the whole society grow. We strive for a motivating environment where creativity and effectiveness are encouraged thus inculcating a high performance work culture. 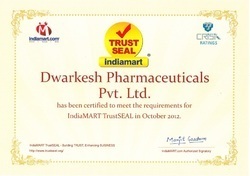 Dwarkesh continues to develop new functional care items for women, aged, poor and disabled people. Inculcate and follow sincere and honest company philosophy and obey morality norms, and protect intellectual property and privacy. Maximize profits with respect to investors, suppliers to make everyone win. Always work constantly for society and public welfare. Always follow protocols to keep our working environment safe. Are you genuinely interested to procure best quality Product? Are you genuinely interested to have Stable & Safe Products? Are you in search of a good manufacturer who can export its Products? Are you in search of a company who can manufacture your products on loan license or contract manufacturing basis? 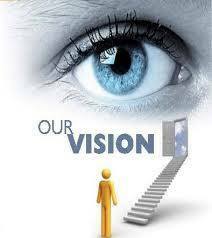 Are you in search of a company who can help you in marketing of its products in your territory on franchisee/pcd basis? If the answer is Yes, then you can associate with us. 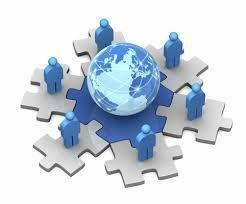 "DPPL - where dreams come true"
We have a staff of Technical & Non Technical People. Every department is supervised by Chemists approved by Food & Drug control administration (FDCA), Gujarat. We are a client centric organization and our ardent effort is directed towards achieving total clients satisfaction by offering them a quality range of products. 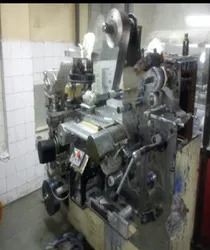 Our entire range is manufactured with the help of latest technology machines and as per the industry norms. Further, we emphasize on delivering superior quality products, premium packaging, competitive rates and on-schedule delivery. Further, our preference to instantly respond to customer’s specific requirements has helped us to be an obvious choice among the clients. We are working on ethical basis propagating our own brand names in India. 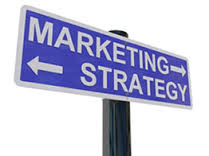 And if we get good professionals especially those who have worked in Marketing field, we give them a chance to be with us for marketing our products. We provide visual aids, product cards, catch covers, price list, visiting cards, product information, sales staff training etc. to boost our sales. We have a respectable name in generic market also. Its our pleasure to introduce us as Professionally Managed and Fast Growing Pharmaceutical Company having its own manufacturing unit at business hub of Ahmedabad city, Gujarat.